China has given the world a glimpse of its air force at a special performance by a display team. 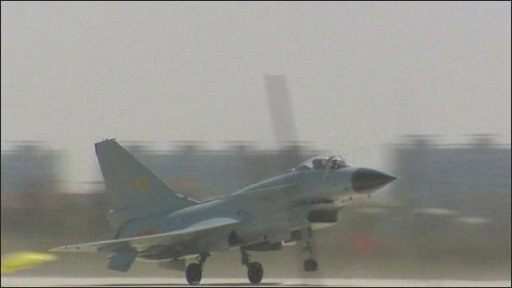 Four Chinese-made J-10 fighters put on a show of aerial stunts at a military base just outside the city of Tianjin. China hopes the manoeuvrability and price of the J-10 will make it attractive to buyers in other countries. The BBC's Michael Bristow was at the show in Tianjin.